Marijuana is illegal at the federal level, but the way the Obama administration has been talking lately, you wouldn’t know it. Earlier this week, the president said that weed “is no more dangerous than alcohol,” and now, in a major shift in U.S. drug policy, Attorney General Eric Holder has announced that the Justice Department will allow banking services to process marijuana sales in states with legalized weed. Some credit card companies have already started “relaxing” their adherence to this law, but soon, they’ll be completely in the clear. The change will affect both recreational marijuana retailers, such as those that opened earlier this month in Colorado, and medical marijuana dispensaries, which have been operating in places like California since 1996. "You don't want just huge amounts of cash in these places," Holder told an audience at the University of Virginia on Thursday. "They want to be able to use the banking system. And so we will be issuing some regulations, I think very soon, to deal with that issue." 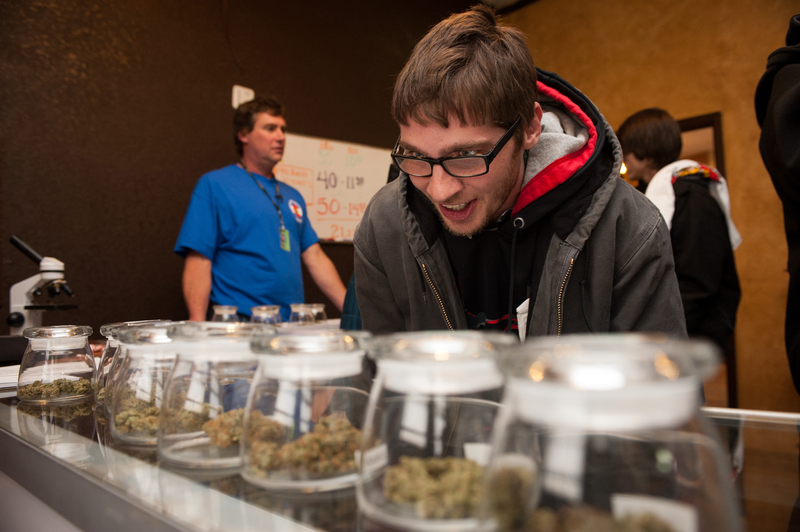 This is fantastic news for marijuana dispensaries, both medicinal and recreational. Current law prohibits banks from handling marijuana sales, which means retailers have to conduct all of their transactions — including things like payroll and inventory — in cash. In addition to being a hassle for customers, dealing strictly in cash makes retailers especially vulnerable to robbery, which in turn requires them to invest more in security. On the one hand, we don’t want to read too much significance into this, but on the other hand, it’s a bit hard not to. It’s one thing for the Justice Department to take a hands-off approach to enforcing the federal ban on marijuana, but another thing entirely for the federal government to take active steps to make life easier for the state-based marijuana industry. Combine this with the fact that marijuana arrests have plummeted over the last couple of years, and it’s hard not to wonder if an even bigger shift in federal marijuana laws is on the horizon.